Walking out with your lovely kids? You need a cool , safe and eye catching backpack for being COOL and... for Storage for her/ his diapers, water, changing clothes, and snacks...These cute backpacks will satisfy your needs. 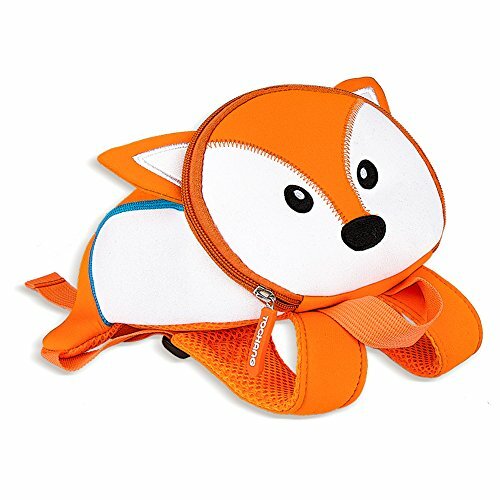 3D ATTRACTIVE ANIMAL DESIGNS: The toddler backpack is featured with cute and vivid tiger, lion, cow, fox designs, which makes it attractive, colorful and eye catching. Kids will be cheerfully to wear it. Ideal gift for boys and girls. SAFE, WATERPROOF, LIGHT WEIGHT. The knapsack is made of Neoprene material, which is soft, harmless, super light weighted and waterproof, Breathable mesh backside to avoid heat in summer. 4 Seasons adaptable. WITH SAFETY HARNESS. The backpack comes with free bonus: safety harness at length 125CM/ 49 inches especially for outdoor usage. No worries your kids will be out of your vision any more! Easy access bottom zipper pocket for harness storage without of detaching. 32* 21*14CM/ 12.6* 8.27* 5.5 Inches, suitable for toddlers at height 60- 105CM/ 23.6- 41.5 Inches. For 1-4 years old toddlers. If you have any questions about this product by ZobiDobi, contact us by completing and submitting the form below. If you are looking for a specif part number, please include it with your message.